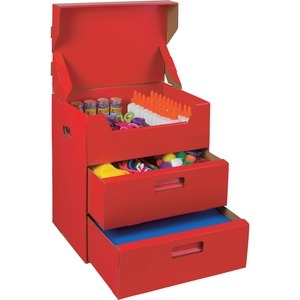 Organize your classroom supplies in this enclosed tool box. 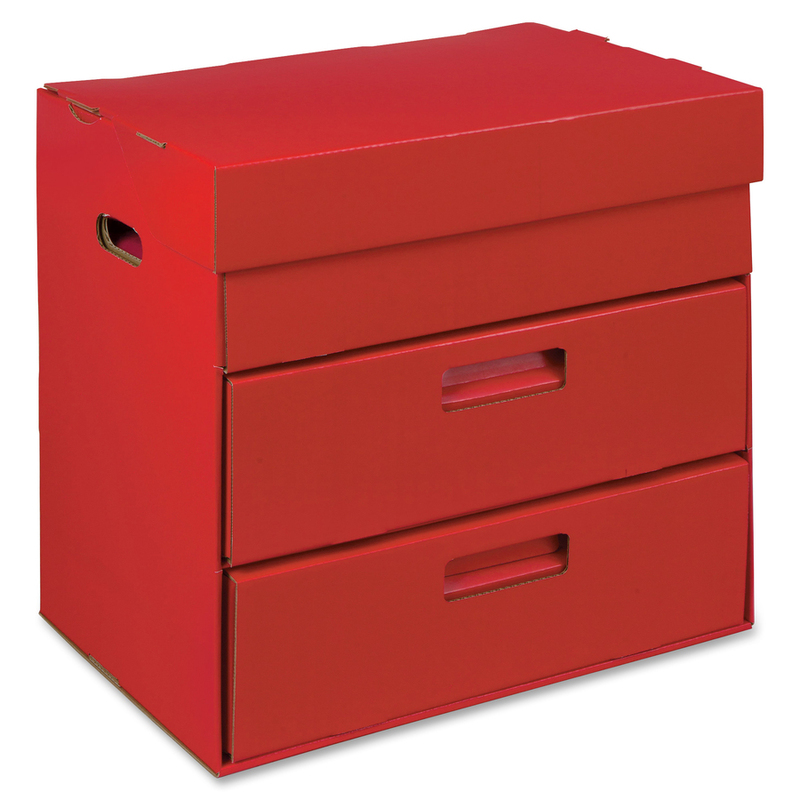 Two sliding drawers provide enough space to store a stack of 12" x 18" paper, arts and crafts supplies, small containers and more. The prop-open storage area provides easy access to your frequently used items. Easy-to-assemble design is made with pre-made creases to ensure stable use and maximize its longevity. Media Size Supported 12" x 18"